A father posted this picture on instagram and it made me really sad, it look so severe. As he stated in the comment: "Eva infected with HFMD" It made my both palms up to my face. When our little boy was 2-year old, we used the daycare service for 5 days a week and on his second month there, he was diagnosed with HFMD. As a first time parents, we couldn't confirm if it was, but the Child Care Specialist (Klinik Dr. Chan Yue Sun) gave us full information. She informed us very well on what to do, what to feed him, recovery progress and etc etc.. After he was fully recovered, I took him to the same daycare and he got it again in April 2012, that was the time when I decided to take care of him ALL by myself, sigh! 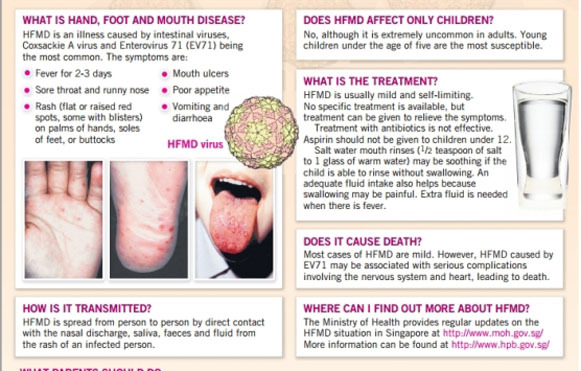 Based on my own experience, the HFMD itself is less worrying but the fever that caused by HFMD. The body temperature can reach more than 41 degree C and if it's higher than that, it can caused brain damage. I guessed that some kids could get 'sawan' because of non-monitored fever. This is solely my assumption after reading some of the 'sawan' experience by other parents. 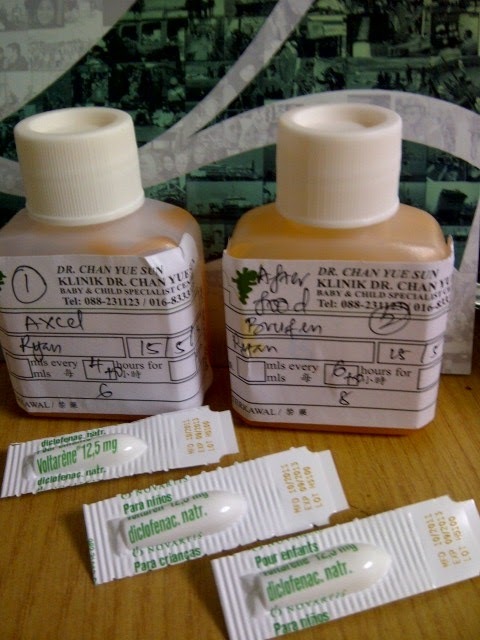 MEDICATION: For the HFMD itself, there was no medicine provided by the specialist, my little boy was advice to drink more water, eat more soft food like yogurt or tofu and rest well. No antibiotics too. 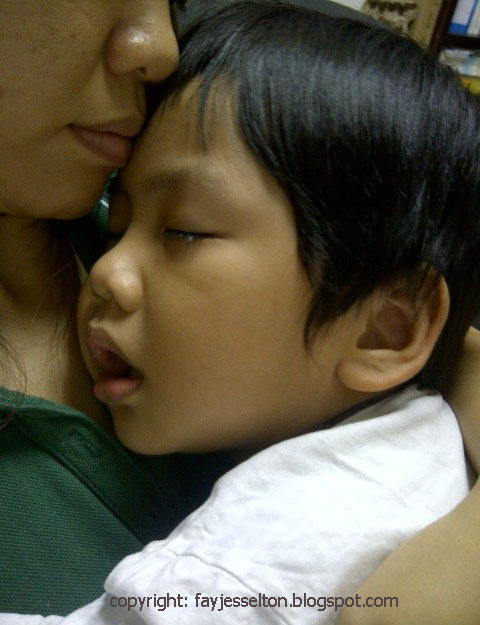 I rescued my son with Voltarene 12.5mg at 2.00am in April 2012. He could end-up blind or deaf or any other bad effect due to his fever which was up to 41.5 degree C (106.7 Fahrenheit). Fever that reach 42degree C could cause brain damage. 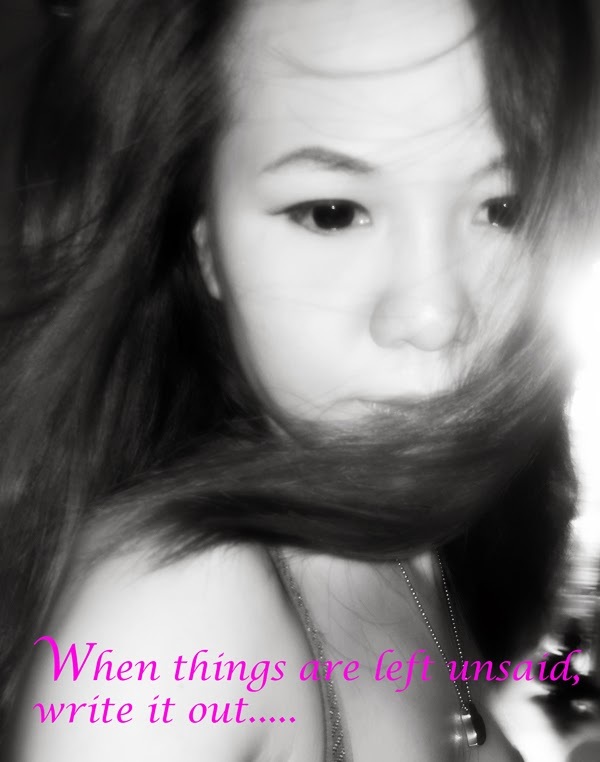 He was shaking and his voice was almost unheard when he called me, his look was miserable. He didn't cry at all but I did. 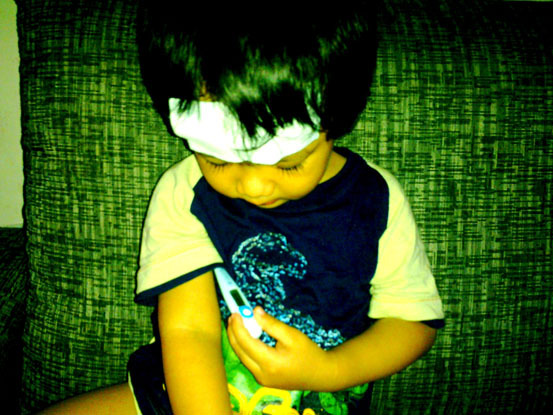 After the high fever experience, I always remind my friends who have kids to always standby a fever medicine at home. take your kids to the emergency department as the journey itself can really jeopardize. Some mother responded that it's not necessary to give any medicine if the baby fever is only 38deg C, but hey.. mind your own kids dude, all I said was "standby", nothing more or less than that, okay! May 2013, dots on his toes and feet, little puss inside. He slept throughout the day. This was in May 2013, his body temperature didn't reach 40 deg this time. Good info by MOH of Singapore. FYI, Klinik Dr Chan Yue Sun is located in Damai, Kota Kinabalu. She's not a young doctor and it makes her very informative. After years of patronizing her clinic, I can confidently say that she's not like the childcare specialist in SMC or Damai Specialist. Some parents doesn't like her because she looks unfriendly at the first time meeting her but she's actually very kind. I think that she gets impatient with the parents who can't give info like duration of fever, food given to the child or anything related to the child. Anyway, Dr Chan is always nice to every kids, she can make the kids to like her, awesome. We have been her client since our baby was 2 weeks old. I got my annual flu vaccine in the same clinic too. Er.. I think it was on the left. Hmm.. come to think of it, not right next to her. Mine was right next to the dental clinic pulak. Used to be a computer company. ya bah Just.. bahaya tu nti tu budak kili2 palis..